The place is nice and quite. The bath tub is run down. Where to find Mattawa hotels near an airport? Where can I find hotels in Mattawa that are near tourist attractions? 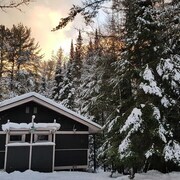 Spending several days in Northern Ontario and want to stay in or near Mattawa? Mattawa features 2 hotels within a 0.1-kilometre (0.1-mile) distance of the town center. 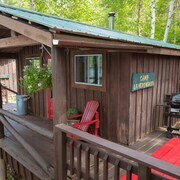 There are a range of Expedia-listed hotels within a 10 kilometres (6 miles) radius, including The Canadian Ecology Centre Cabins and Welcome Inn. After you have explored Mattawa, why not tour a bit further afield? The Northern Ontario area has a number of scenic and cultural delights waiting to be explored. Investigate Northern Ontario's old towns and enjoy the region's forests and rivers. Locals and visitors alike in this part of Canada can enjoy snowboarding, skiing and cross-country skiing. North Bay is 45 kilometres (28 miles) to the west of Mattawa, and is where you'll find the Capitol Centre and the Discovery North Bay. Should you wish to spend a few nights in North Bay, check Expedia's booking pages for the latest deals at the Holiday Inn Express & Suites North Bay and Comfort Inn Airport. Alternatively, you could consider staying in Sturgeon Falls, 85 kilometres (53 miles) to the west of Mattawa, where you can pick from the Comfort Inn Sturgeon Falls and River Mist Inn. The Sturgeon River House Museum and the Laurentide Golf Club are just some of the more popular attractions to explore when you're in Sturgeon Falls. If you love sports and like to watch local games, you could visit Steve Omischl Sports Field Complex, which is 50 kilometres (31 miles) to the west of Mattawa. Sports fans wanting to find a room or apartment close to the stadium can select from the Ramada Pinewood Park Resort North Bay and the Best Western North Bay Hotel & Conference Centre. Jack Garland Airport is 50 kilometres (31 miles) from Mattawa. If you wish to stay nearby, you can book a night at the Hampton Inn by Hilton North Bay or the Days Inn & Suites North Bay. Are there hotels in other cities near Mattawa? 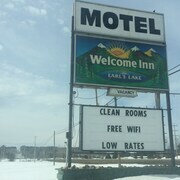 What other types of accommodations are available in Mattawa? Explore Mattawa with Expedia.ca’s Travel Guides to find the best flights, cars, holiday packages and more!